The Ardara Show is back on Saturday the 13th of August. Its return after a break of a year, is staged on a new area at Sandfield made available by the National Parks and Wildlife Service. Entries for the livestock and marquee have exceeded 2014 figures. In the show’s giant marquee there will be up to 1,000 entries displaying arts, crafts, garden produce, photography, painting, knitwear, cooking and a children’s section. Prize money for the 188 livestock and marquee classes this year is over €9,000. The afternoon programme brings together Star Wars characters and the spectacular Trialstar motorcycle display team. Star Wars fans will be able to meet Darth Vader and Storm Troopers as well as Atomic, an 8 foot tall talking robot. Also featuring at this year’s show will be a display by the Mid-West Donegal Vintage Club, the popular fun dog show, children’s sports, birds of prey, a funfair, penalty kick competition, tug-of-war and trade stands. Judging begins at 10 am and the event will be opened by Father Moore of the Church of the Holy Family, Ardara, at 12.30. 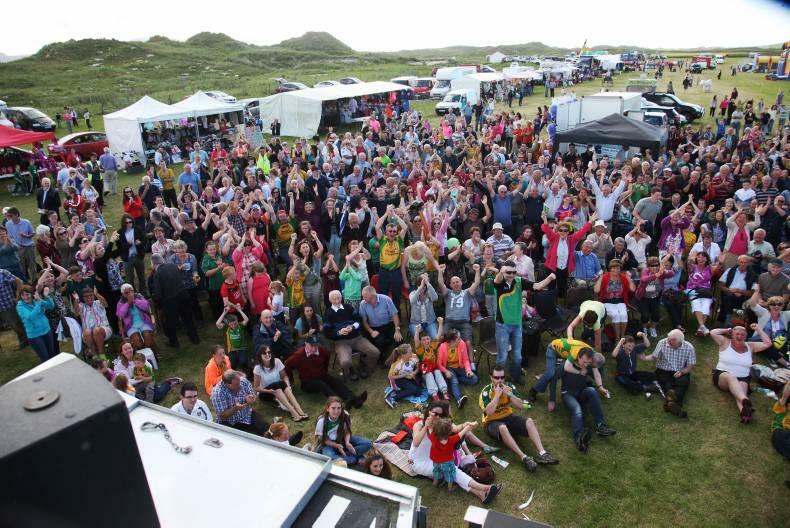 Parking is free on site, and there will be buses running to the show field from Ardara, throughout the day.